Nate Sudfeld has proved that he can now win in a big time environment. The Hoosier stock is soaring this week after what has been called by many in and around the Indiana football family a program changing win. The 31-27 upset win marked the biggest victory of the Kevin Wilson Era. So without further delay here is the Week 4 Stock Report. Stock Up- Defense: A week after surrendering 45 points and being on the field for an absurd 113 plays against Bowling Green, the Hoosier defense showed some guts by playing with great energy and aggressiveness. IU’s defense combined for 11 tackles for loss and was in Maty Mauk’s face from the first snap of the game. This performance was a building block win for the confidence of Brian Knorr’s unit. Stock Up- Ball Security: Missouri entered the game having recorded a turnover in 47 straight contests. That streak is over because the Hoosier offense was great at protecting the ball. It all starts with the arm of quarterback Nate Sudfeld, who stayed calm under pressure in a harsh environment. The running backs and receivers did a wonderful job of not letting Tiger defenders rip the ball out of their hands. Stock Up- Running Backs: We all know how talented Tevin Coleman is, but when he went out early in the first half, it was senior D’Angelo Roberts and freshman Devine Redding who picked up the slack in a big way. Those two combined for 114 yards on the ground and two scores including the game winner. Without both of these backs the Hoosiers would not have survived to early exit of Coleman. Stock Down-Team Health: There is not too much to be negative about after a win of this magnitude, but the Hoosiers have to be a little bit concerned about the team’s health heading into Week 5. On Monday head coach Kevin Wilson announced that defensive back Kenny Mullen and linebacker Marcus Oliver would miss the rest of the season with knee injuries that require surgery. While neither of them are starters, they are major contributors in back up roles. These injuries will have an impact on team depth on defense. Also, a handful of players went down during the game with cramps on Saturday. Who knows if this is just because it was the warmest day a game has been played on, or if it was something else that the training staff needs to look at. Stock Up- Indiana Football Program- This was a major victory and the Hoosiers have been reaping the rewards of it early this week. They even got recognized during the Bears-Jets game on Monday Night Football. The Hoosiers have momentum and this is what IU football fans have been begging for since the 2007 season. 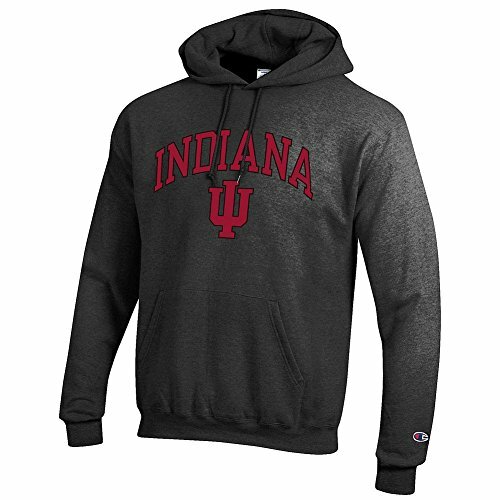 The Cream and Crimson turned heads last weekend, and the time is right to buy into this Hoosier team.